Chinese-born classical pianist Arianna Quan has had a stellar year. 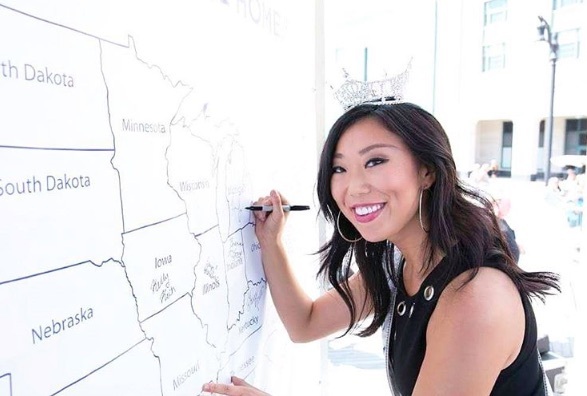 As in, she recently made history by becoming the first Asian-American and naturalized citizen to be crowned Miss Michigan. And not only that, she’ll now have an opportunity to win the celebrated Miss America competition. As you can imagine, Quan received a lot of comments after her win. But unfortunately, not all of them came in a “congratulatory” form. “It’s been a very polarizing response,” Quan told People magazine. Some of the comments attacked Quan’s appearance, calling her too “ugly” to represent the Chinese community (WHAT?!). But Quan hasn’t let this stop her, nor prevent her from pushing ahead with her main mission: to open the national dialogue about immigration and naturalized citizens. “I see it as a part of my job as a state title-holder and potential Miss America. My goal is to just drive the conversation in an important direction, because there are so many things we have to discuss about immigration and diversity in this country right now,” she said. As you can see, Quan is taking a very mature approach to this hurtful situation, hoping to raise awareness about the lack of diverse representation in America. SO MUCH YES. We salute you, Arianna! Way to turn something so negative into something so positive. Best of luck for the days ahead — we’re supporting you 100%.